Don Draper and his fellow friends, foes and lovers who whirl around the Madison Avenue advertising world of the 1960s, came home — the digital home, that is — when TV show Mad Men: Season Four arrived on DVD and Blu-ray on March 29, 2011, courtesy of Lionsgate. From AMC and creator Matthew Weiner (executive producer and writer of The Sopranos), Mad Men’s critical and popular recognition speaks for itself: a three-time Emmy winner for Outstanding Drama Series and winner of three consecutive Golden Globes, the show was most recently nominated for 2011 Golden Globes for Best Television Series – Drama, Best Performance by an Actress in a Television Series – Drama (Elisabeth Moss, Get Him to the Greek) and Best Performance by an Actor in a Television Series – Drama (Jon Hamm, The Town). The Mad Men: Season Four Blu-ray and DVD sets contain all 13 episodes of the season, which originally aired last summer, as well as hours of special features, including extensive commentaries and innovative featurettes. The DVD was available in a limited edition, 3D lenticular package. The Blu-ray and DVD sets were priced at $49.99 (three discs) and $49.98 (four discs), respectively. 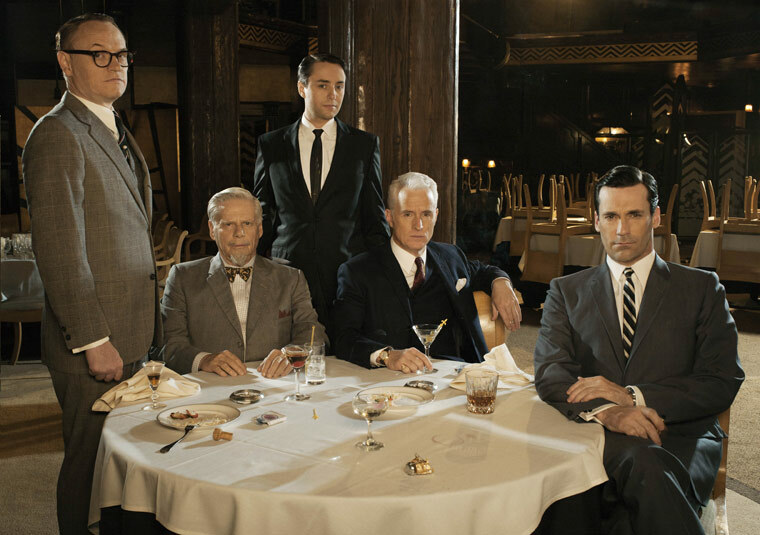 Mad Men fans here in the UK are quite lucky – we get the news season on DVD a full week ahead of our US cousins on 21 March, quite a rarity for those of us used to staggered release dates! Although I saw all the episodes when they were originally aired, I’m really looking forward to a second viewing and I’m sure the DVD extras will be interesting as always. Can’t wait for the Mad Men Season 4 DVD boxset to fall through my door in a few weeks!